The Virginia Economic Development Partnership (VEDP) announced earlier this month the acceptance of a Bedford County company, Sentry Equipment Erectors, Inc., into its two-year Virginia Leaders in Export Trade (VALET) program. The VALET program assists companies in the Commonwealth that are committed to international exporting as a growth strategy. To participate, each business must meet both quantitative and qualitative selection criteria. Participating firms are chosen based on their dedication to growing export sales. Only 25 companies per year are accepted into the program. To date, 325 Virginia companies have been accepted to participate in the VALET program. Benefits of the program include executive training, internationals sales plan development, educational events, and customized research. The VALET program generates an average increase in international sales of 54% for participating companies. 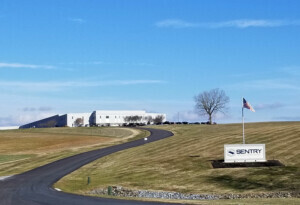 Including Sentry, Bedford County currently has three companies who are part of the VALET program—Blue Ridge Optics and Innerspec. Read the full release from the VEDP.